This is Jessica Largey’s moment. 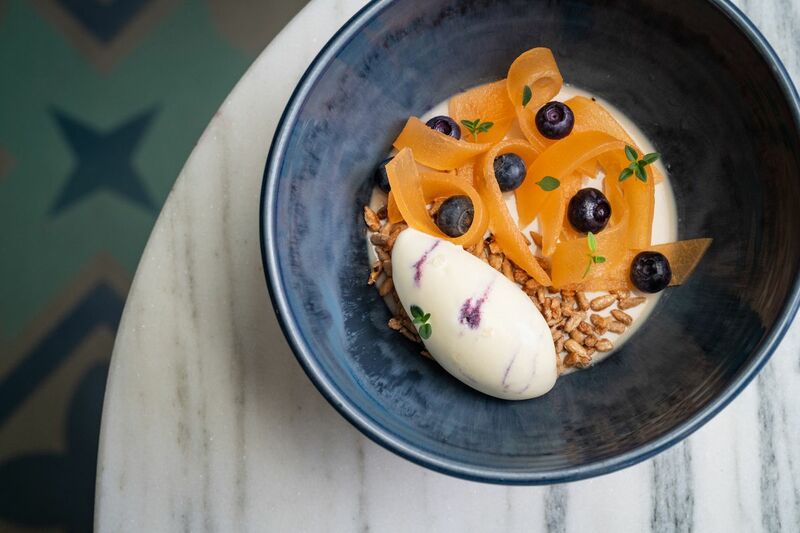 The James Beard Foundation Award-winner (and former chef de cuisine of three-Michelin starred Bay Area restaurant Manresa) is about the turn the key on her standalone restaurant Simone, opening September 20 in Downtown LA’s Arts District. Los Angeles is dominating the national dining conversation, and now it’s Largey’s turn to talk with one of the most anticipated restaurants of the past five years. Simone encapsulates many things, from Largey’s produce-forward California backbone to her elevated training in some of America’s best kitchens. It also calls to a previous era of particular Hollywood decadence, with Art Deco touches, stunning colors, and well-lit flourishes throughout. Designer Deirdre Doherty has painstakingly reconfigured the 1921-era Arts District building to glow with warmth and vitality, playing hard brick against plush banquettes, and soft gold against heavy marble. As the restaurant space continues to unfold, so too does the vision from Largey, managing partner Bruno Bagbeni, and partner Joe Russo. Duello is name of the 25-seat cocktail bar up front (with Iain McPherson running the show), followed by a six-seat walnut chef’s table looking right into the kitchen. The full dining room unfolds from there, with bending light fixtures sweeping from above and lots of comfortable nooks and crannies for small groups or big dates. Each space within the restaurant feels like its own moment, but is tied together by Largey’s focus in the kitchen. There’s a big spotlight on produce, though large-format eaters can still find pork collar and a ribeye steak to share. The chef’s table, once operational, will function as a full tasting menu counter, while beverage director Jordan Egan (NoMad, Boka Group) flits through the rooms pouring wine. 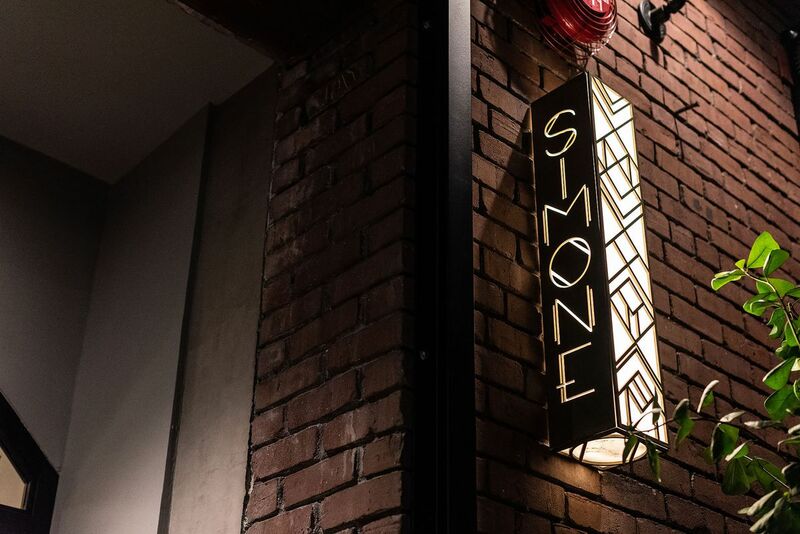 Reservations for Simone are available on Resy now, with an eye towards opening night on September 20. Hours for Simone will be 5:30 p.m. to 10:30 p.m. Sunday and Tuesday through Thursday, with an extension to 11:30 p.m. on Friday and Saturday night. 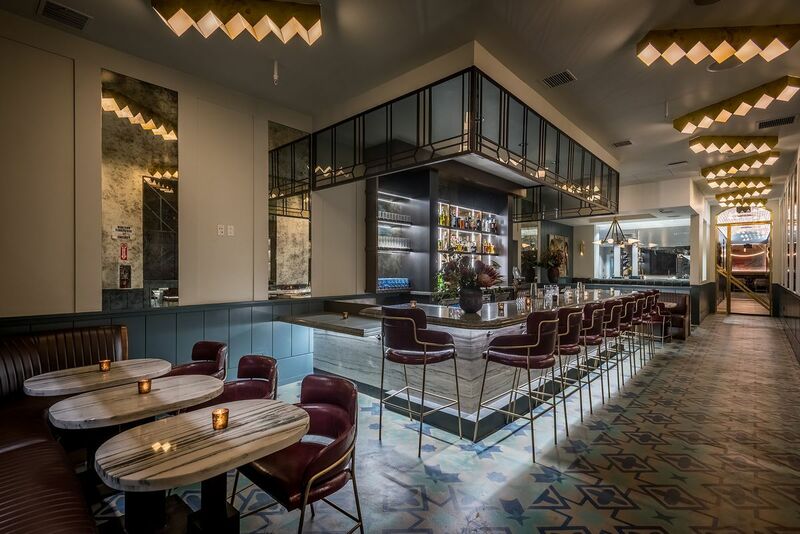 Up front, the bar Duello opens at 4 p.m. nightly (closed Mondays). Simone. 449 S. Hewitt St., Los Angeles, CA.